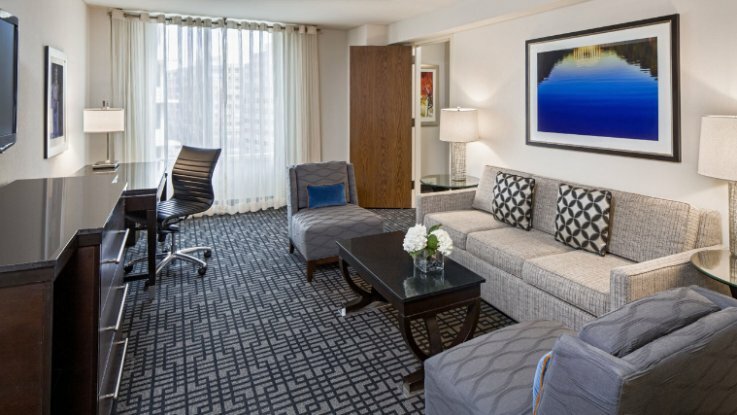 Make the Hilton San Francisco Union Square Your Home for the Holidays! 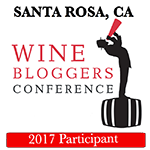 A few weeks ago, I was planning a business trip to San Francisco, and I did not want to hassle with driving back to Sacramento after dark. The event I was planning and would be working in the city was a catered food and wine event at a major car dealership, and I knew I would be exhausted by the end of the evening. That’s when I decided to stay overnight in San Francisco, preferably close to the dealership. Lucky for me, I have been and stayed in San Francisco several times and have a bit of a history and relationship with the Hilton San Francisco Union Square. I have been invited to past events, such as the opening of their 46th floor lounge, Cityscape. Cityscape is located inside tower one of the Hilton (which also happens to be the largest hotel on the West Coast). The Cityscape has a 360-degree view of San Francisco and beyond. Through it’s 14ft floor-to-ceiling windows, you can see the Golden Gate Bridge, Coit Tower, the Transamerica Pyramid, Chinatown, AT&T Park, the Marin Headlands, Nob Hill, Oakland, and giant barges on the Bay. Now that Cityscape Lounge is open to the public, it’s at the top of my list for must-see sites in the City. Below is the video I took inside the Cityscape last year. I am using it because the Cityscape was closed (for a private event) the evening I stayed at the Hilton, and I was not able to obtain any new footage. Enjoy! I connected with the marketing team at the Hilton San Francisco Union Square, and they were able to place me in a beautiful tower room with a patio overlooking Union Square. 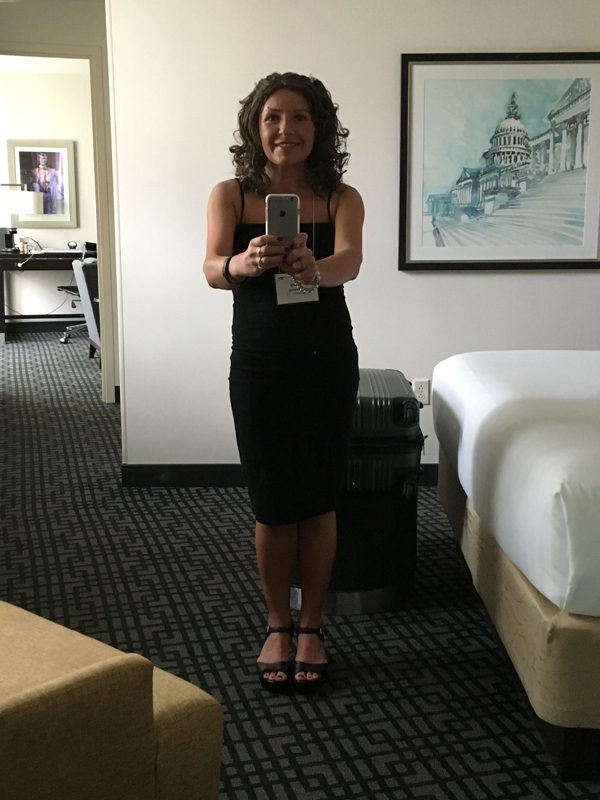 I was happy to be back and able to check in and relax in my room before I headed to the event at the dealership that evening. Of course the rooms inside the Hilton SF Union Square are spacious, modern, and the beds are beyond comfortable, but it was the new amenities since my last stay that were really impressive. First, there is a touch pad tablet in the rooms that is personalized to each guest. You can basically explore the entire city and find things to do during your time in San Francisco. There are recommended activities and restaurants, and you can see several menus to check out exactly what a certain restaurant offers before you make a reservation. 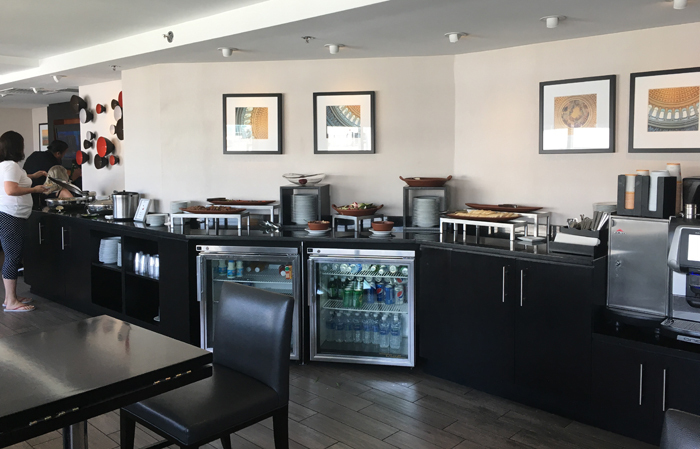 There are refrigerators in the rooms, and you can purchase wine and snacks (like the ones below) at the lobby café/store (Herb N’ Kitchen, click for menu). 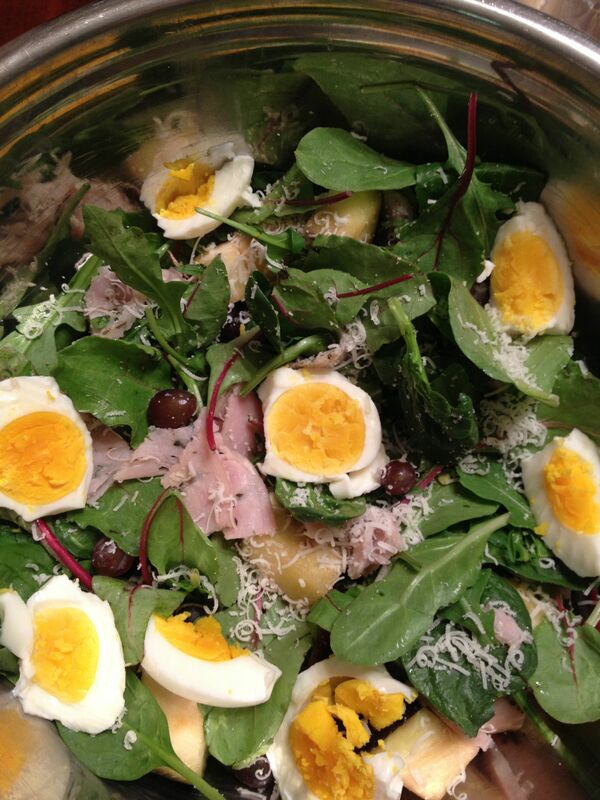 I also tried the Turkey Cobb Salad for dinner that evening, and it was very satisfying. 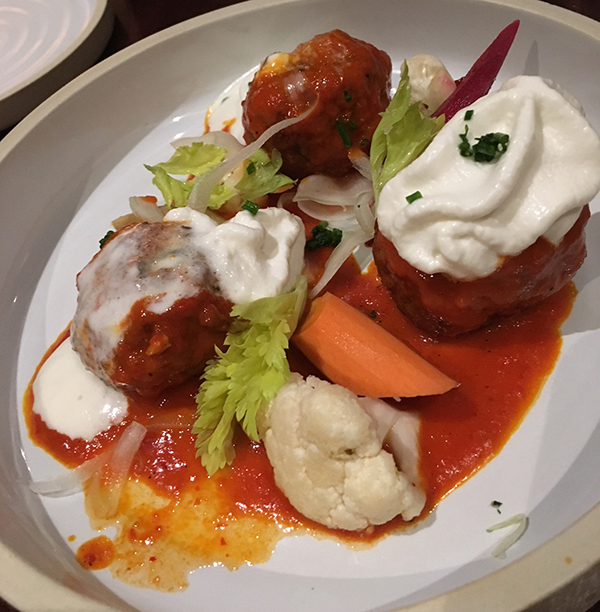 If you are looking for more of a full service experience, you can head over to Urban Tavern which features a full menu of locally-inspired cuisine (click here for menu), and highlights 50 wines within 50 miles, Bay Area beers and indigenous spirits. 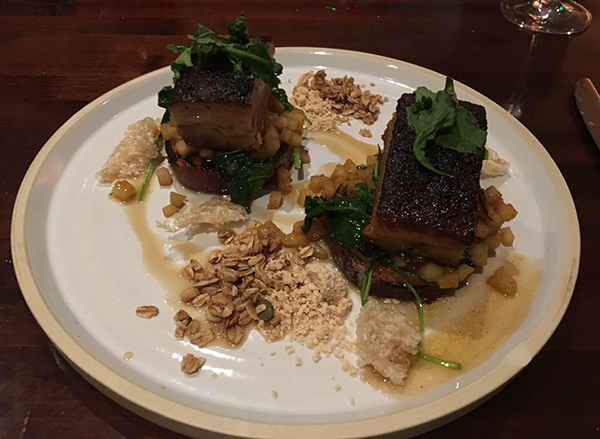 I dined there during my last stay, and here are some photos of the delightful dishes Andy and I sampled! This is the most wonderful time of year to stay at the Hilton San Francisco Union Square. The lobby is fully decorated with Christmas trees, just like the one above on the main floor of tower one. Things to do this season! There are lots of activities for the whole family during the holiday season, and the Hilton San Francisco Union Square welcomes you during this festive time of year. As you can see in the photo above, Union Square is fully decked out with lights and a Christmas tree, and they have their Holiday Ice Rink open for business! There’s even a package rate that includes accommodations, 2 ice rink tickets, and a Bloomingdale’s 15% savings certificate! Follow this link for full details/to take advantage of this offer! A Charlie Brown Christmas—LIVE! at Davies Symphony Hall is an experience you won’t want to miss. The performance begins with a reception in the lobby, so make sure to arrive early. 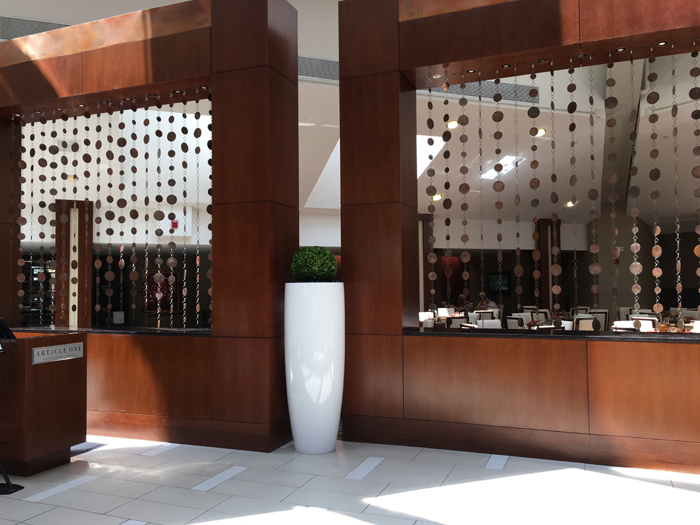 The lobby will be filled with festive decorations and activities, including gigantic Christmas trees and special Peanuts décor. There will be several performances beginning this Thursday, Dec 21st and running until December 24th, 2017. For more information or to purchase tickets, click here. Over at the American Conservatory Theatre, you can enjoy a performance of A Christmas Carol. Performances run Wednesday, Dec 21st-Sunday Dec. 24th at A.C.T.’s Geary Theater, 415 Geary Street. For more information, click here. Celebrate in timeless style with Academy and Grammy Award-nominated singer, songwriter, actor, producer, and director Seth MacFarlane, who brings a winning combination of rich crooning and cool pizazz that would do Frank and Dino proud. Watch him light up the stage with the San Francisco Symphony in a dazzling concert of finger-snapping jazz standards and holiday favorites conducted by Edwin Outwater. For tickets click here. Another amenity I found impressive is the valet parking service. As you are checking out, you can text the code (ten minutes before you are ready to leave) on your valet ticket to the valet number (see above) and they will fetch your vehicle for you so you don’t have to wait for it. 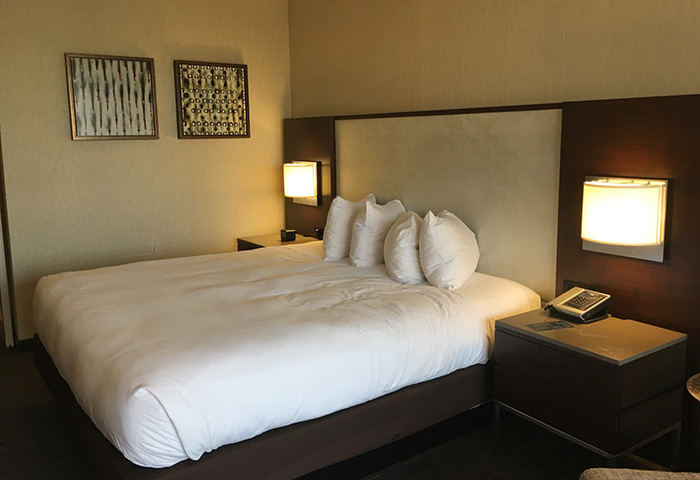 With its state-of-the-art amenities and breathtaking views, it’s no wonder the Hilton San Francisco Union Square is my go-to place to stay in the City. Cityscape Lounge is open seven days a week from 5pm-Midnight. You can find the Hilton San Francisco Union Square on Facebook here, and follow them on Twitter here. Tag them on social media with #hiltonfunionsq. 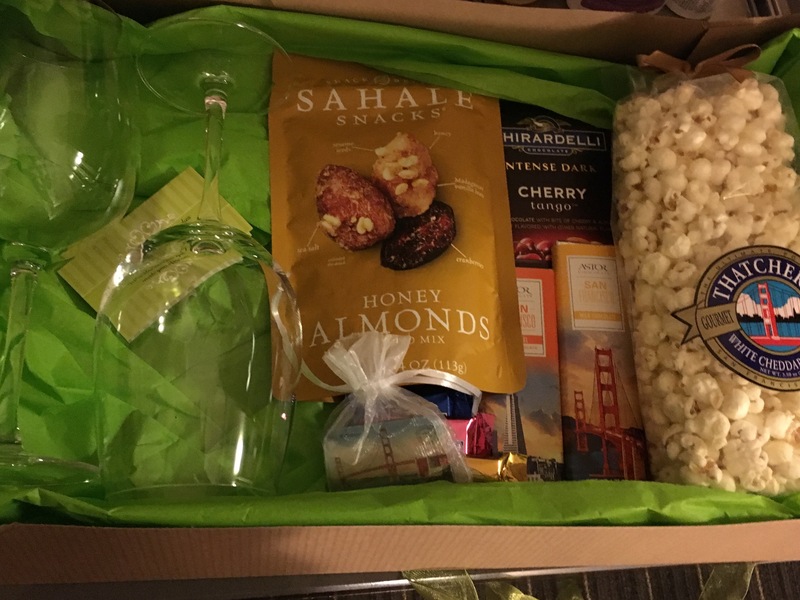 Much thanks to the marketing team at the Hilton San Francisco Union Square for your hospitality. I’ll be back soon! 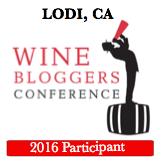 *I was given a one night stay, breakfast, and parking in exchange for this informative blog post. 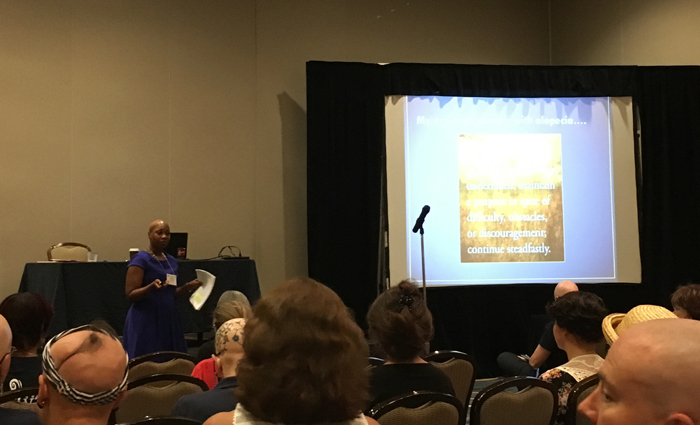 This year marked the 31st Annual National Alopecia Areata Foundation’s Convention, and this year we convened in Washington, D.C.
What the heck is alopecia? Click here to find out. 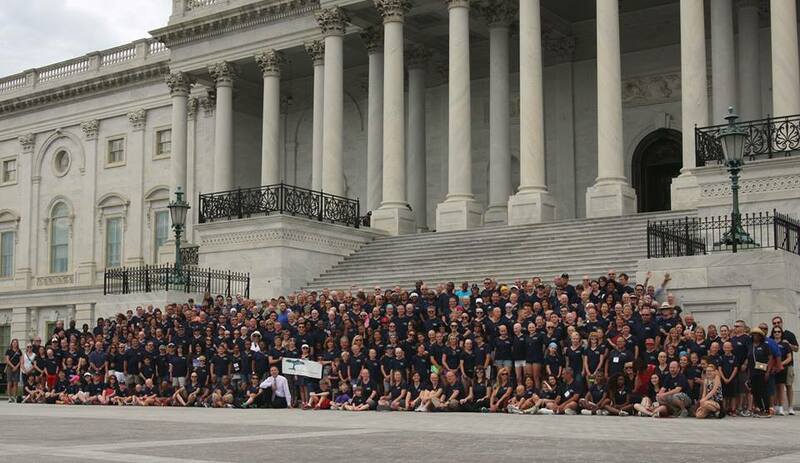 Though many rallied at the Capitol to raise awareness and urge their congresspeople to consider legislation that would help cover wigs/hairpieces for a patient diagnosed with alopecia, the home of the convention was at The Hyatt Regency Washington, D.C. on Capitol Hill, where conference attendees gathered together in support of each other, danced together, cried together, dined together, laughed together, learned together, and did nothing short of have a ball together. You see, for alopecians, this is the most important event of the year where we can get together from all parts of the world and share our experiences. Because sharing and relating is medicine for the soul. The magic of the conference is that it provides a gathering place for people and their families from all walks of life who are affected by this disease. I arrived very late on Thursday night, and did not go to Capitol Hill with the others, but I attended a workshop on Friday afternoon called Empowering Lives, Building Resilience, led by Dr. Renee Thomason. Then on Friday evening, I was treated to dinner by Roti Meditteranean Grill (located in Union Station). 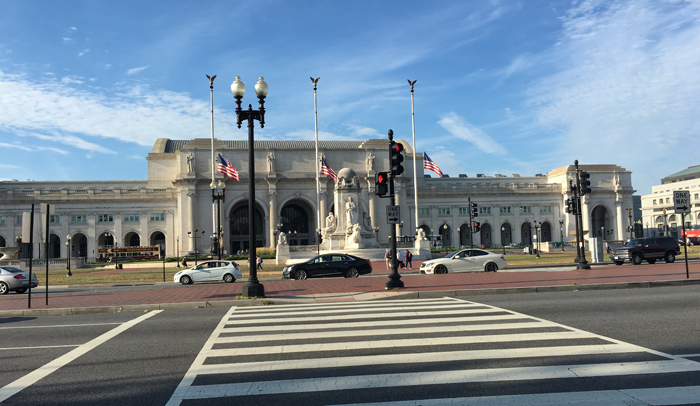 It is only about 1/3 of a mile to Union Station (pictured below). Inside Union Station, Roti is located on the left side of the building, on the lower level. So, I went with the salad with kabob, tahini sauce, and feta, cabbage slaw #becauseprobiotics!, and a side of hummus with an order of gluten-free pita bread. I would have dined in, but I was ready to head back to my room and relax. Plus, I had some yummy wine to pair with my meal chilling in the refrigerator. So I scurried back like a hungry little squirrel and spread out my Mediterranean feast on the coffee table in front of the TV in my (rather extravagant for one person) hotel room. 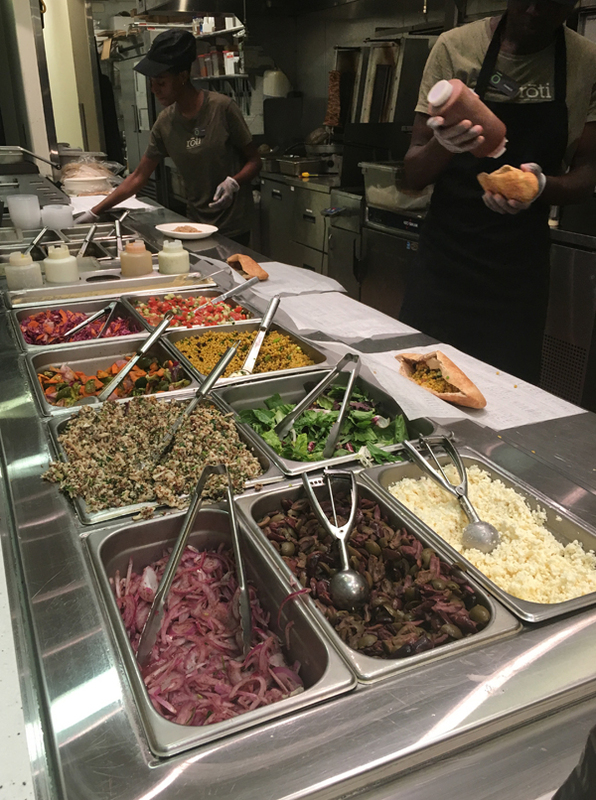 I loved the chicken kabob salad because it was filling and healthy, which is how I like to eat even when I am out of town. I could not tell a difference between this pita bread and regular pita bread, and the side of hummus was enormous, and would be used on other food throughout the weekend thanks to the refrigerator in my room. 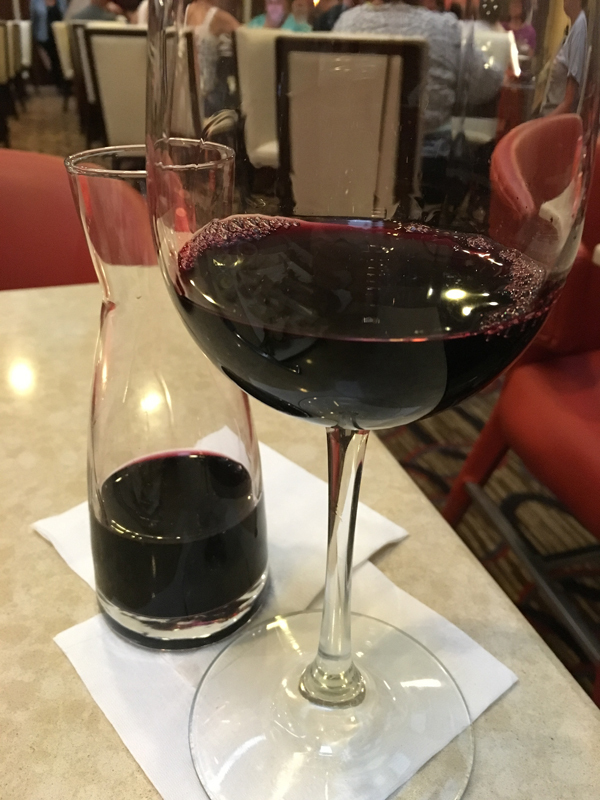 If you’re curious about the wine, I packed three bottles with me to save money on beverages during my trip. Tonight’s wine was a Chardonnay which is a lovely pairing with grilled chicken. You can find Roti Mediterranean Grill online here, on Facebook here, on Twitter here, and on Instagram here. 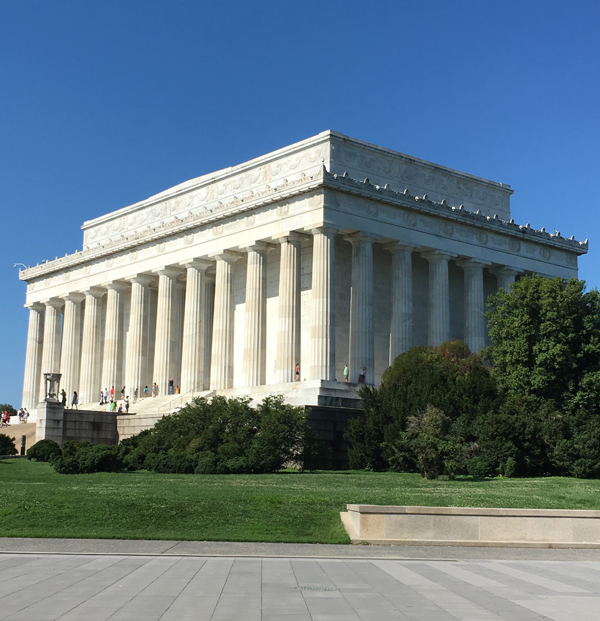 The next day, I headed out to explore Washington, D.C. via foot/running. I did a five mile run from my hotel to the Capitol building and down to the Washington Monument and back and below are the pictures I took during the run (while managing to get 5 miles in). 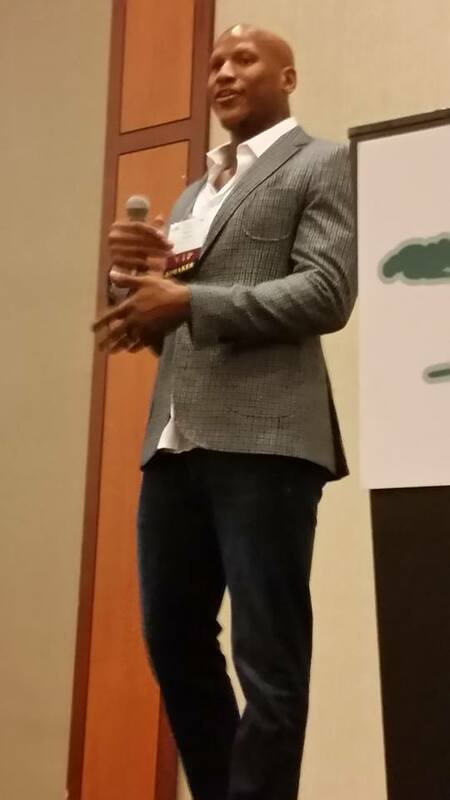 Following my workout and gym time, I headed to another conference session: Ask the Experts. The Ask the Experts presentation was a panel of medical and research experts from a variety of fields to answer questions about the different aspects of alopecia areata including treatment and research. Though I don’t attend the conference anymore in search of a cure (I come for the camaraderie), it’s always interesting to hear the latest research. 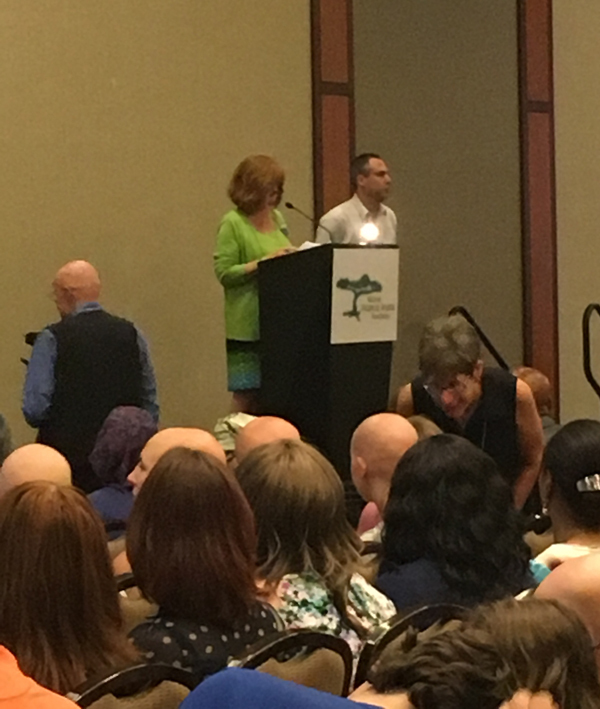 Following the Ask the Experts panel, it was time to get blown away by the strength and courage of the panel during the Young Adult Perspective presentation. Seven young adults gave their testimony and answered questions from the audience about their experiences with alopecia. I admired this panel of kids (to me, now at 39) because they were diagnosed with alopecia during more formative years. I was diagnosed at 25 and never had to deal with bullying any of the weirdness an adolescent would have to face like these panelists surely did. They all gave helpful advice to audience members, especially the parents of children with alopecia, on what to say, how to react, and what to do to be a community advocate. It was a powerful seminar to say the least. Then I headed back up to my room to get ready for dinner at the hotel’s restaurant, Article One. 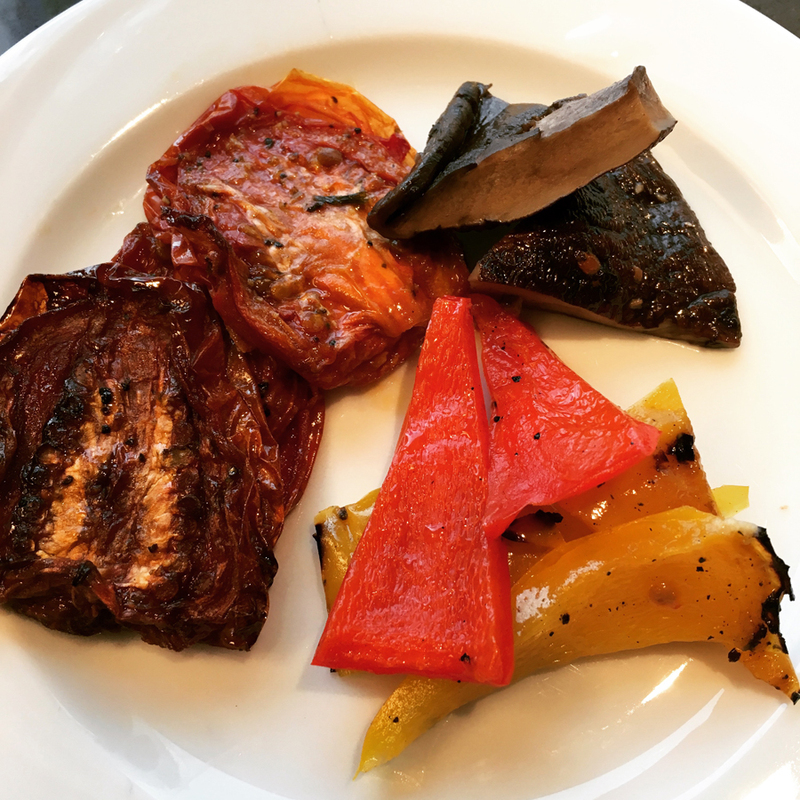 I had contacted the hotel the week of my trip to see if we could work together on a Paleo meal to feature here on my website. 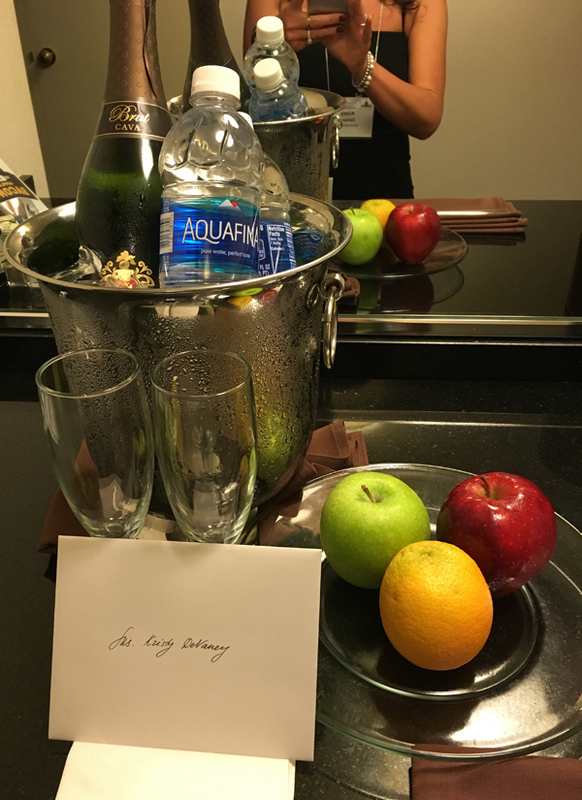 The marketing team for the Hyatt Regency Washington, D.C. was very receptive to my request. In addition, I received a room upgrade from a regular room that I paid for to an Executive Suite with many more amenities and a separate living room and sleeping area. My room included a refrigerator and a microwave, 2 televisions, and 2 different air/heating controls for the two rooms in the suite. The Executive Suite includes access to the Regency Club King room (a private access 11th floor lounge with dedicated concierge service, Continental breakfast, daily refreshments, evening cocktails and hors d’oeuvres). With the upgrade to Regency Club, I didn’t have to spend any extra money on meals during the day. I snapped a pic of me all decked out for dinner (before heading up to the Regency Club for some early evening snacks and a glass of wine). 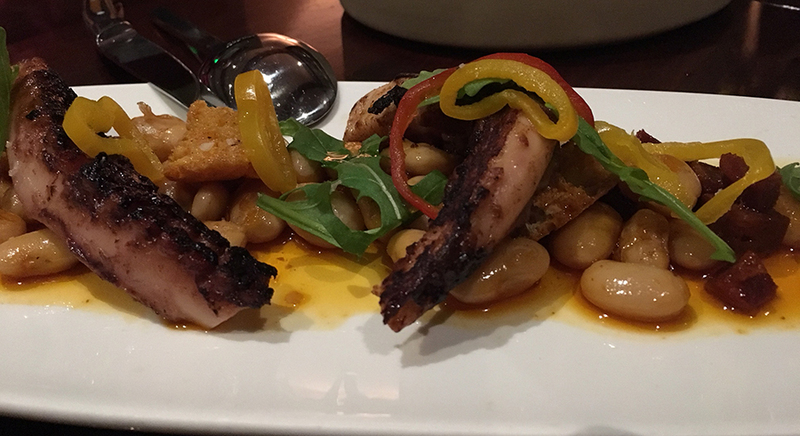 Following my visit to the Recency Club, I headed down to Article One for dinner. The restaurant is very contemporary with vibrant reds/burnt orange and browns in its decor, and open to the hotel lobby. 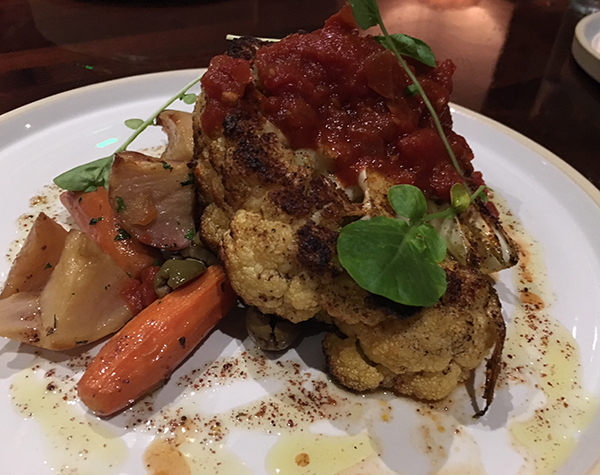 I was impressed with the open feel because you can still experience the buzz of the lobby, but still feel like you are tucked away for a private meal. And a very special and private meal it was for yours truly, as I was treated by the Article One staff and Executive Sous Chef Ryan Ward. 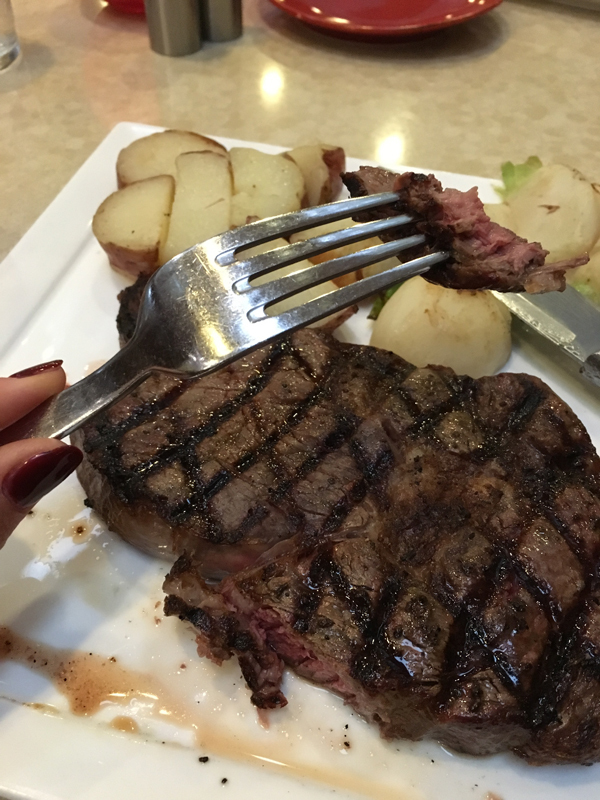 I was thrilled with the amount of research Chef Ryan did on the Paleo diet, and I promise you if you have a dietary restriction, all you have to do is let the hotel know when you make your reservation. The staff will do everything they can to meet your needs and make your dinner a memorable one. 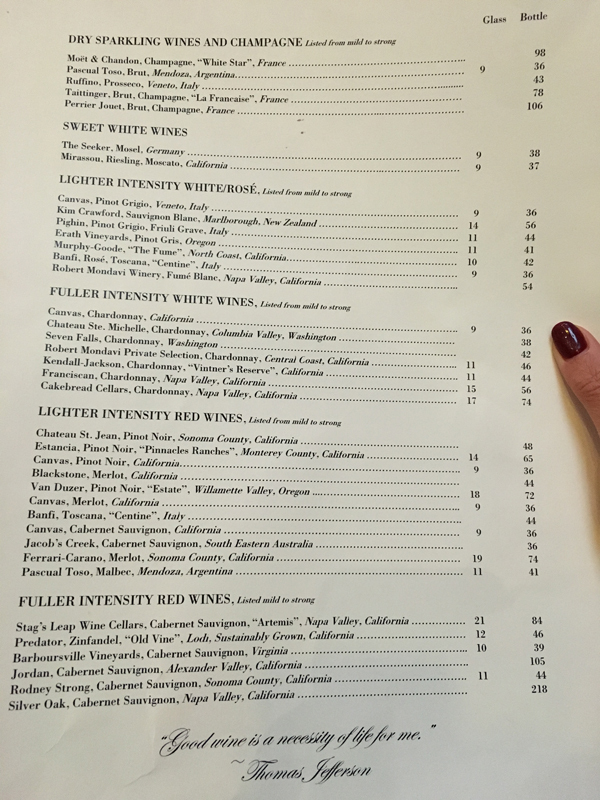 For your reference, here is the wine list at Article One. Since I was informed what my dinner would be as I sat down, I ordered a glass of wine to pair with it. The Stag’s Leap Artemis Cabernet Sauvignon. Then my meal arrived, served by the Chef himself. 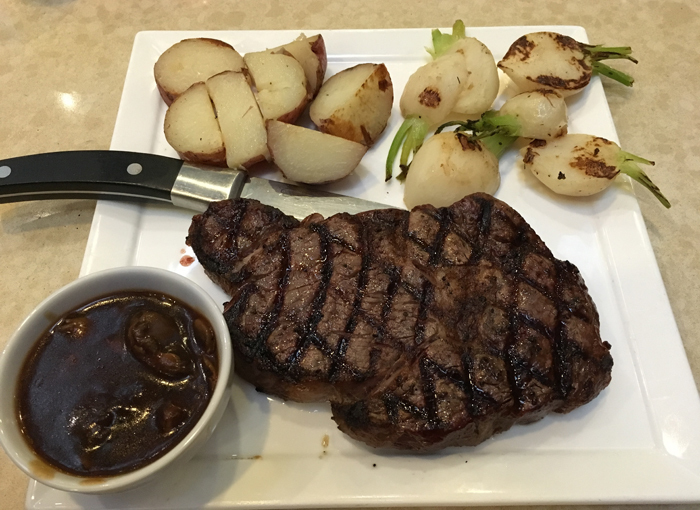 It was a Rib-Eye steak, cooked medium rare, with turnips and potatoes. There was also a decadent mushroom sauce (I ordered on the side). Let’s just call it mushroom ketchup because I used it as a condiment for the perfectly cooked bites of steak and tender turnips and potatoes. Chef Ryan also put together a dessert especially for me with mixed berries and mixed nuts and seeds. I ordered a glass of Pascual Toso Brut (an Argentinian sparkling wine) to have with dessert. After dinner, I headed back to my room to re-gussy up before the NAAF “Totally Rad 80’s Dance Party”. That’s when I found one last incredible gift from the hotel. 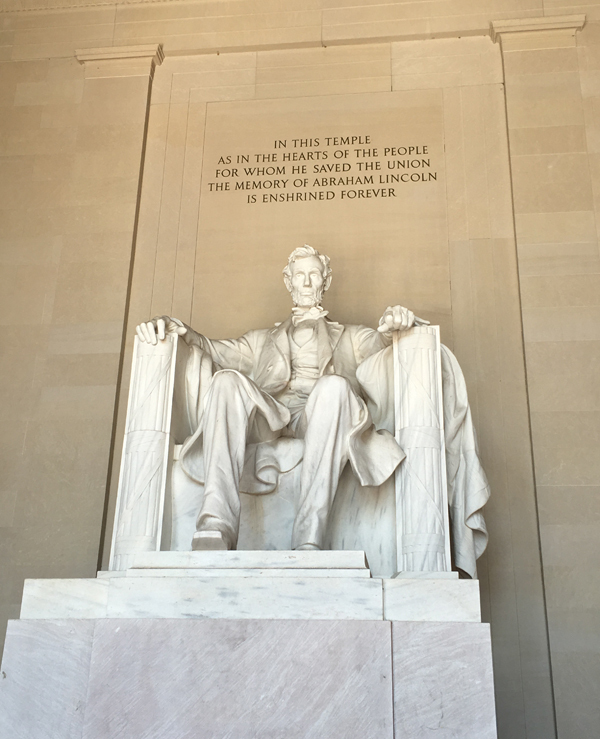 The next morning, I headed out on another run, this time to visit the Lincoln Memorial. After my workout, which was again finished in the StayFit™ Fitness Center, I got my things all packed up and went down to attend the Closing Session led by NAAF Communications Director (and totally rad DJ) Gary Sherwood, Chief Development Strategist Maureen Smith, and the guest speaker, an NFL linebacker with the Pittsburgh Steelers, Ryan Shazier. 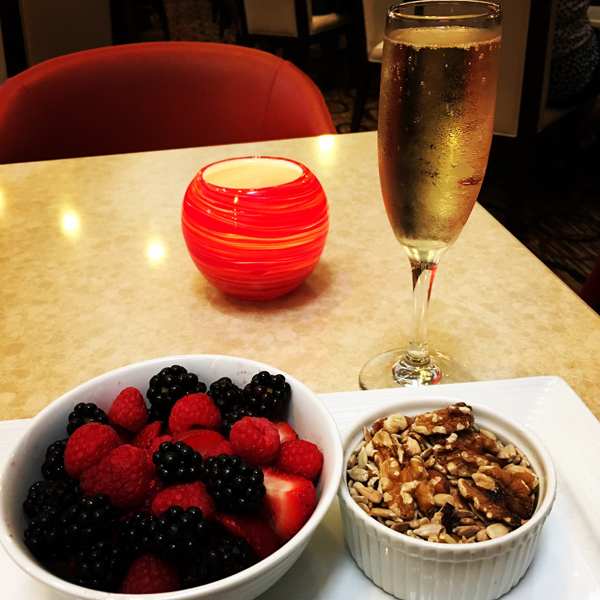 I want to thank the Hyatt Regency Washington, D.C. for the room upgrade, as well as the custom Paleo meal and wine I enjoyed during my stay. Everything was perfect including the 24-hour room service (not previously mentioned), which saved me from starving on Thursday night after a late flight and arrival to the hotel. I recommend the Field Greens Salad with Grilled Chicken! 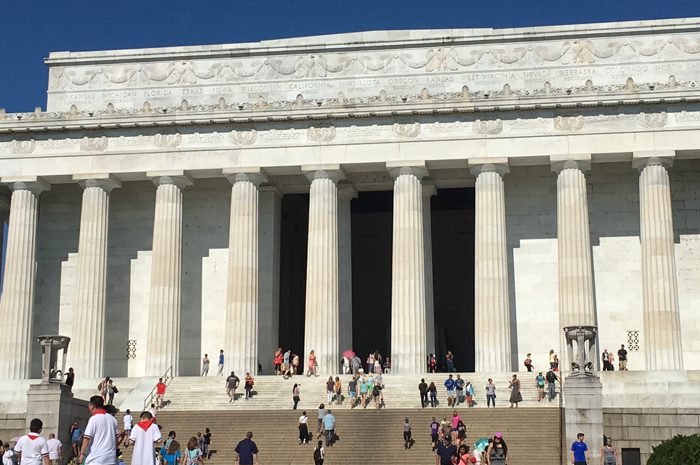 I’d also like to tell you about Hyatt Hotels in Washington 2016 Summer Offer, which is a great deal for anyone who wants to visit D.C. 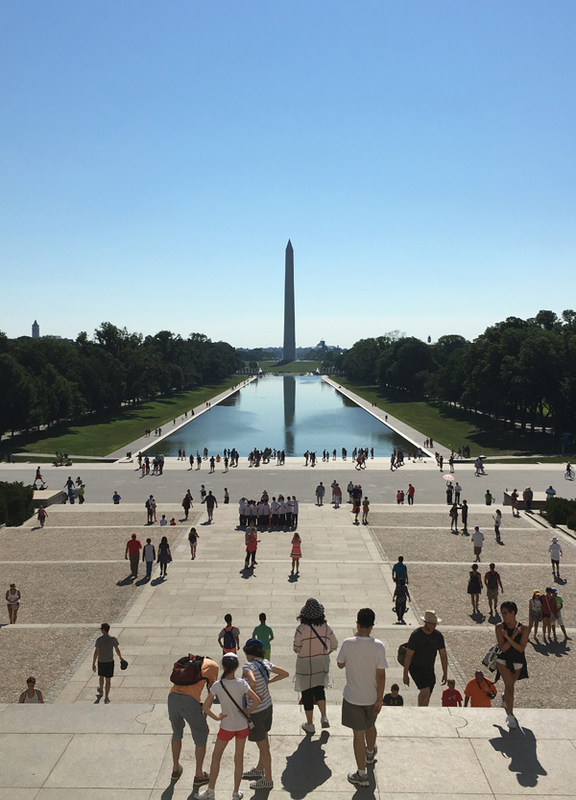 It is available for Hyatt Gold Passport® Members, and offers up to a 15% off stays at participating Hyatt Hotels in Washington DC through September 10, 2016. You can find the National Alopecia Areata Foundation online here and find them on Facebook here. You can find the Hyatt Regency Washington D.C. Capitol Hill online here, on Facebook here, on Twitter here and on Instagram here. Nike Women’s Half Marathon Entry Winner #2: Congrats to Karla! Last month, Whole Foods Market, Nike and I gave away 2 entries to the sold out Nike Women’s Half Marathon in San Francisco. I wanted you to meet the entry winners, so you might perhaps comment below and cheer them on for the upcoming race on October 19th! Maybe you’ll even look them up in the race results following the race. 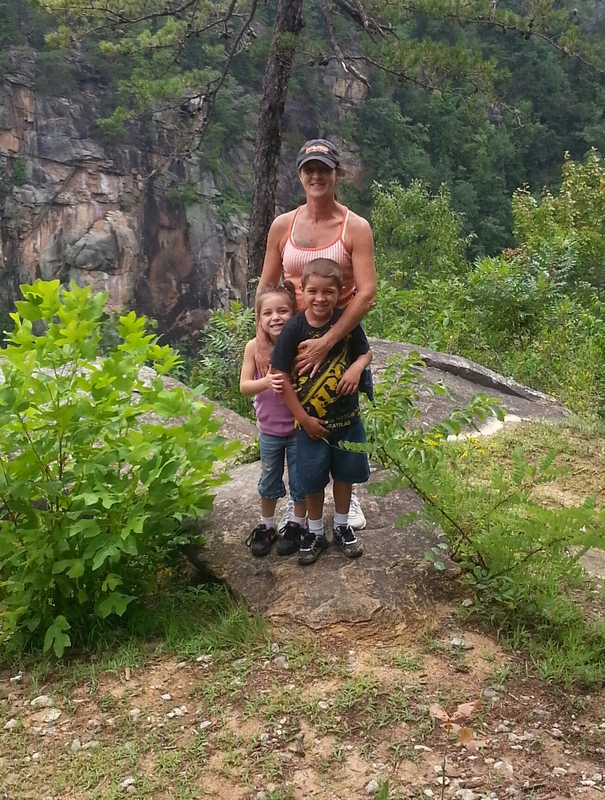 I have always tried to maintain a healthy life style and I did up until my 2 grandchildren were born. I found myself making many excuses not to eat right or exercise just so I could spend all my spare time with my grand kids. The Nike Women’s Half Marathon will be my first and has given me the motivation and determination to get myself back into a healthy life style. I have ran numerous 5k and 10k’s in the past, but I am super excited about the SF Half!! I have been diligently training for this and have loved getting back into exercise and healthy eating. I have more energy overall and feel better physically and mentally both. A Cup of Black Coffee and then out for a run; I find that I do better when I don’t eat before a long run as I tend to eat dinner pretty late at night. Additionally, I do take a multi-vitamin, fish oil, calcium supplement, and glucosamine tablet daily as well as drink plenty of water throughout the day to stay hydrated. Thanks to Karla for submitting her story to cavegrrl.com. I am hoping to meet her on the day of the run and wish her luck in person! 🙂 Thanks to Nike and Whole Foods for allowing me to give two other women the chance to run in the race. You can find Whole Foods on Facebook here and on twitter here. My local store is in Roseville on Facebook here. 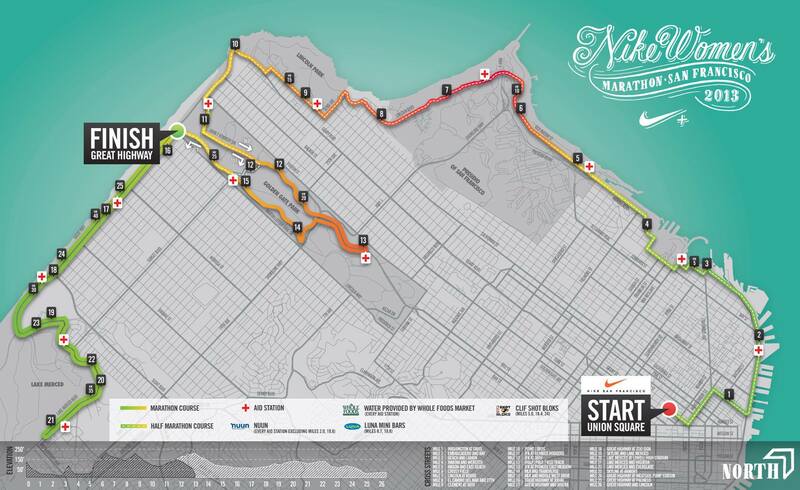 You can find the Run Nike Women’s Series and more information on the race on Facebook here. Nike Women’s Half Marathon Entry Winner #1: Congrats to Cathy! You might recall a few weeks ago that Whole Foods Market, Nike and I gave away 2 entries to the sold out Nike Women’s Half Marathon in San Francisco. I wanted you to meet the entry winners (I’ll be featuring one today and one next week), so you might perhaps comment below and cheer them on for the upcoming race on October 19th! Maybe you’ll even look them up in the race results following the race. Hi my name is Cathy. 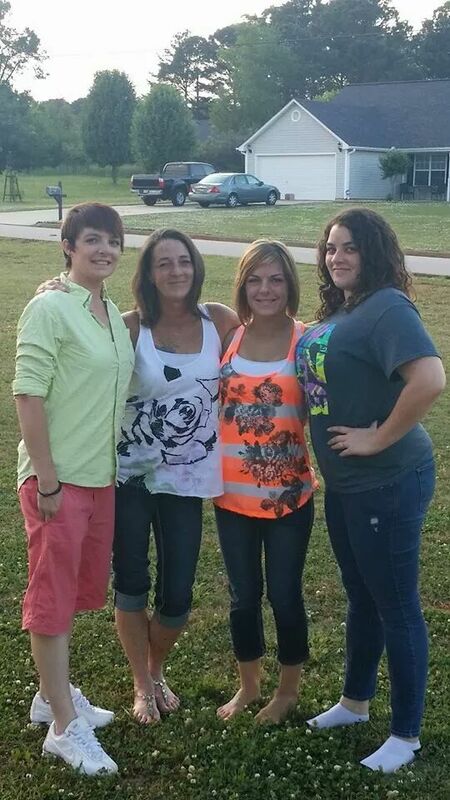 I am a 34 year old mother of 3 girls ages 9, 4 and 1.5. I am a stay at home mom with the girls now, but I previously worked as a pediatric physical therapist. 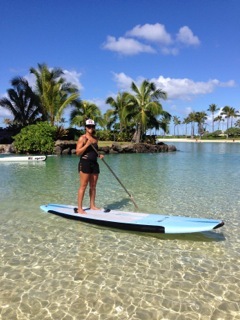 I love to be active, and enjoy all outdoor activities. 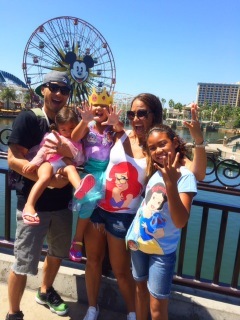 As a family, we love to go to the beach, the pool, and Disneyland. The Nike Women’s half marathon will be my second half. I’ve completed many shorter distance races, but have actually come to enjoy the training and actual race of the 13,1 miles. I try to eat pretty healthy in general, as I am still nursing my youngest child, but I often find it difficult to keep it as healthy as I’d like because of how busy I am. I find that when I food prep I eat much healthier, that is something I am striving to get more consistent with. I’ve also noticed that when I “eat clean” I feel so much better both physically and mentally, that is real motivation for me to try and keep it up. The following food journal is what I ate today and is pretty typical of what I normally eat. Water throughout the day, as well as a multivitamin, glucosamine supplement, calcium, and a broad spectrum antioxidant supplement. On days that I run, I also have a protein bar or shake following my runs. Thanks to Cathy for submitting her story to cavegrrl.com. I am hoping to meet her on the day of the run and wish her luck in person! 🙂 Thanks to Nike and Whole Foods for allowing me to give two other women the chance to run in the race. 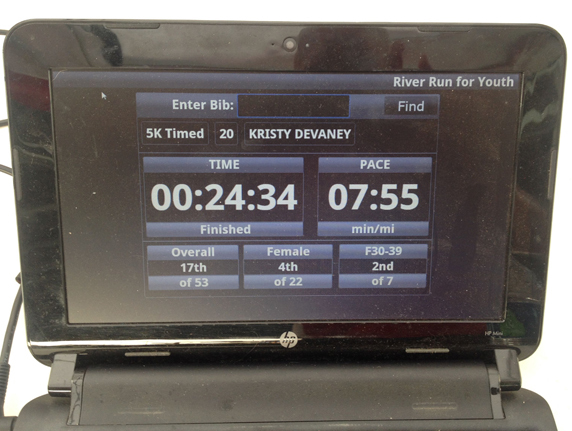 Last Saturday, I ran the River Run for Youth in West Sacramento. I wanted to circle back and report on what a great time I had at the race, and give a little bit more about its beneficiary, Collings Teen Center. I asked Gary Fox, executive director of Campus Life Connection (the non-profit organization that administrates Collings Teen Center) for some more information about the center itself and about how the idea for the River Run for Youth began. Can you tell me a little more about the services Collings Teen Center provides? The Teen Center offers afterschool options including: tutoring, recreation, field trips, camps, competition, free afternoon meal and service projects. The age for the teen center participants is middle school through high school. The program is for any young person in the West Sacramento area and it is free. How did the idea of a 5K come to mind as a fundraiser? The idea started with a group of people who wanted to do something to support the center and the next steps included talking to several people who have been doing runs to find out how to put one together, who should we talk to about managing the event and helping with logistics, where should we hold it and who should we talk to about participating. 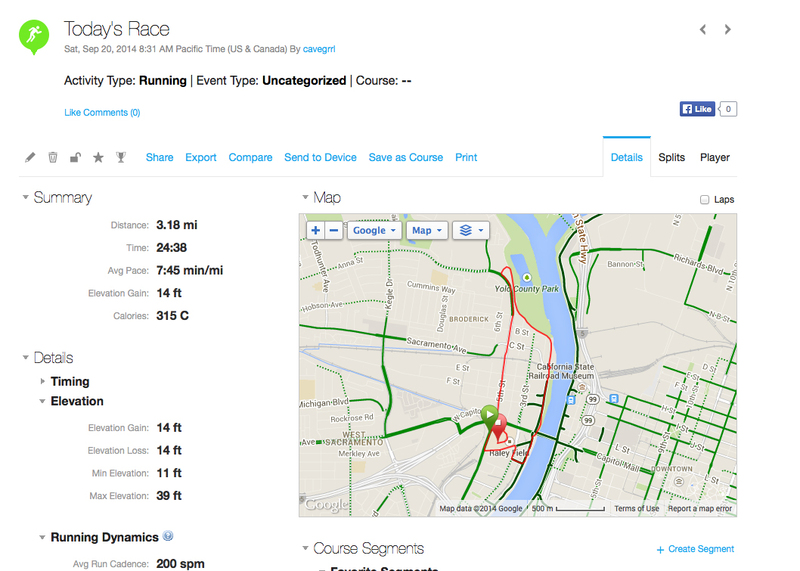 How did you get Capital Road Race Management and Fleet Feet involved with the race? Both groups have been very helpful and responded with coaching and ideas when we approached them to do a run. Are you hoping to make the race an annual event? We are planning our next year’s event now, having learned so much from this first year we are excited about the possibilities for the next one. Besides running the race, how can people donate to Collings Teen Center? Also, do you take volunteers? We encourage people to visit and see what is going on and how the program impacts young people, we accept donation of cash, but we also accept food, clothing and other items as needs arise. We are always looking for volunteers who will be consistent and build relationships with young people. I mentioned that I ran in the race (3.1 miles) as one leg of 11.25 miles I ended up running that day. I finished 2nd in my division (30-39) and took home a nice glass tumbler and medal for it 🙂 Below is my Garmin readout from the race with a map of the course. If you have the chance, come out and run with us next year! The Collings Teen Center invests in the lives of young people in the West Sacramento Community. Our purpose is to Embrace, Engage and Empower. Designed to be a safe place where young people will always feel welcomed to hangout after school, a place where computers, basketball, games and activities are blended with tutoring, community service, educational seminars, and trips outside the area, job training and connection to men and women who are leaders in the community. Young people need caring adults in their lives that will be a positive influence, listen to their issues, encourage good decisions, and celebrate their successes. You can follow the River Run for Youth on twitter here and find them on Facebook here. 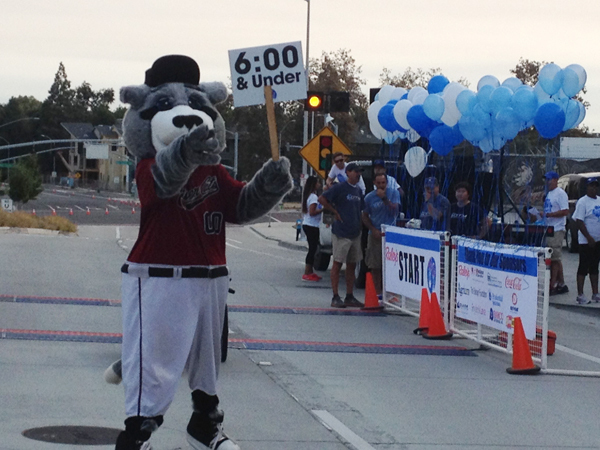 Raley’s Presents River Run for Youth 5K Run/Walk on Sat, Sept. 20, 2014 at 8:30am! 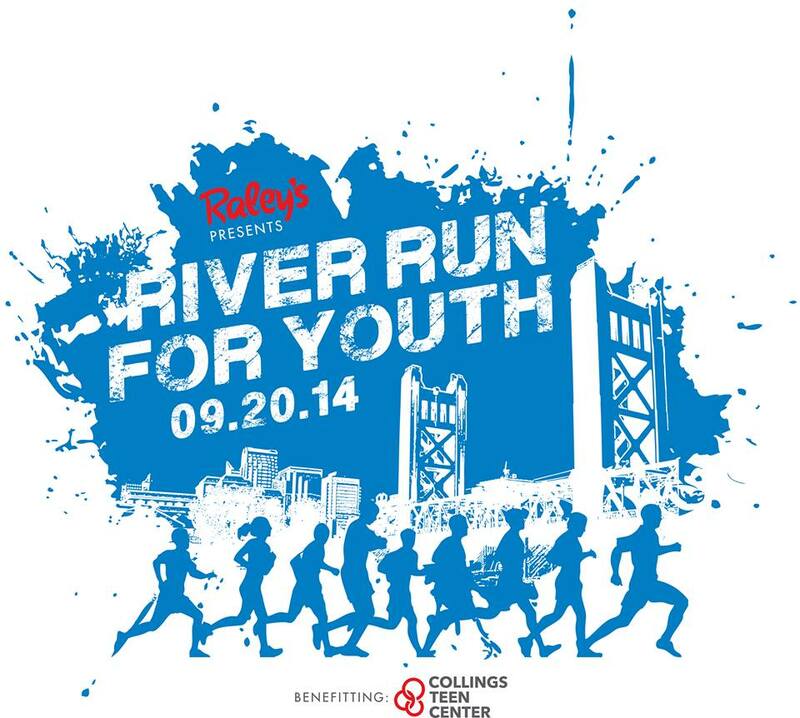 The 1st Annual River Run for Youth sponsored by Raley’s will take place on Saturday, September 20, 2014 at Raley Field, West Sacramento, California. The event includes a timed and untimed 5K Run/Walk and a FREE ¼ Mile Kids Race. Stick around after the main event if your child wants a chance to run the bases! The River Run for Youth benefits Collings Teen Center. A non-profit organization investing in the lives of young people in the West Sacramento Community whose purpose is to Embrace, Engage and Empower. Cotton T- shirts (click here to view the race shirt); Scenic river course finishing inside Raley Field; Timing by Capital Road Race Management; Ideal weather; Delicious post-race food and access to the Raley Field Kids’ Corner. A chance for any child who wants to run the bases will take place after the main event! All participants in the Kids’ Race will receive a finisher’s medal. Race shirts are not available for the Free Kids’ Race. There will be an awards ceremony at appx. 9:30am. Please arrive early allowing plenty of time before your race start. Walkers and strollers will start at the back of the timed participants. You will be able to register on Race Day starting at 7:00 am. You can register and/or pick up your race packet on Friday (9/19) from 10am to 7pm at the Collings Teen Center and on Race Day. NOTE: Pre-registered participants may also pick up their race packets on Race Day starting at 7:00am. Timing will be provided by Capital Road Race Management. All participants in the ¼ mile Kids Race will receive completion medals. Trophies will be given to the overall 1st, 2nd and 3rd place finishers of the 5K. Awards will be given out to the top 3 finishers in each age division of the 5K. Awards will not be mailed so please listen for your name at the award ceremony approximately one hour after the start of the 5K race, if you think you finished in the top three in your age group. If you fail to pick up your award on race day, you can pick up your award at Collings Teen Center. Please call the Teen Center to coordinate a time to pick up your award. 5k runners/walkers will have a ONE – hour time limit to complete the course. There will be one water station at the halfway point (appx.) of the 5K. The water station will be supported by local volunteers and will include water and a sports drink. Raley Field is located at 400 Ballpark Drive, just west of Old Sacramento and the Sacramento River. 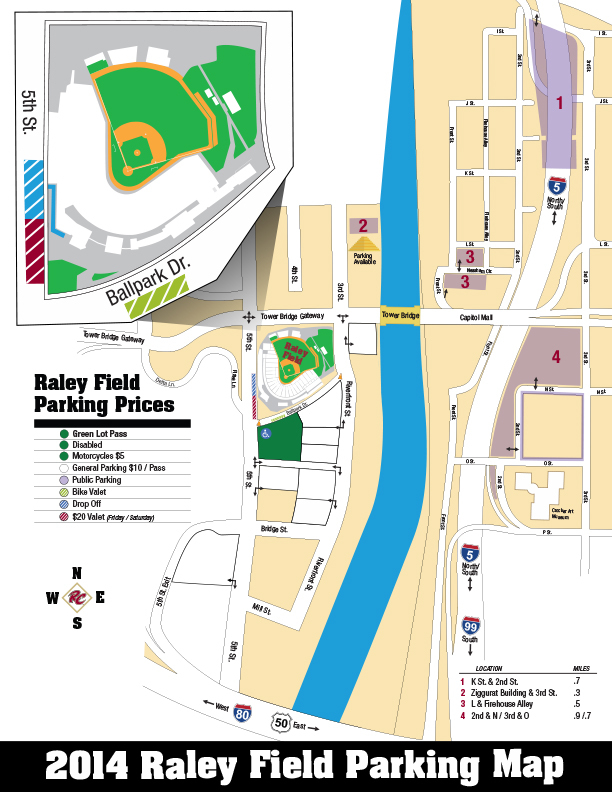 Please click on the link below to view the parking map at Raley Field. 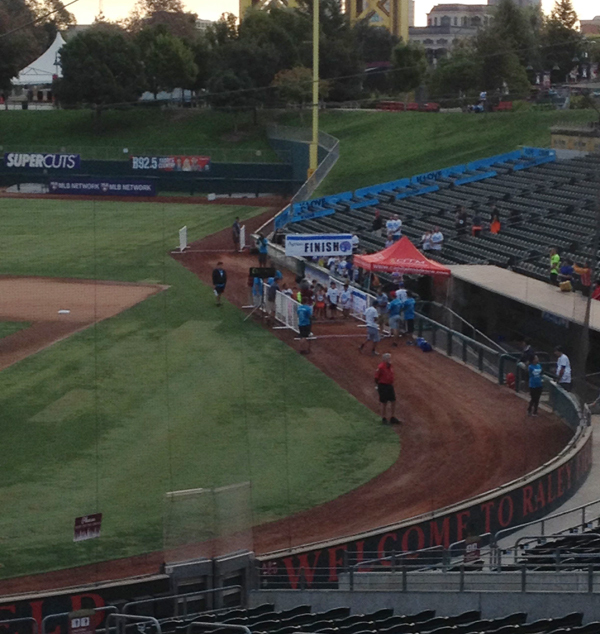 Mile 3 – Located on the warning track at Raley Field; SE of the centerfield gate. 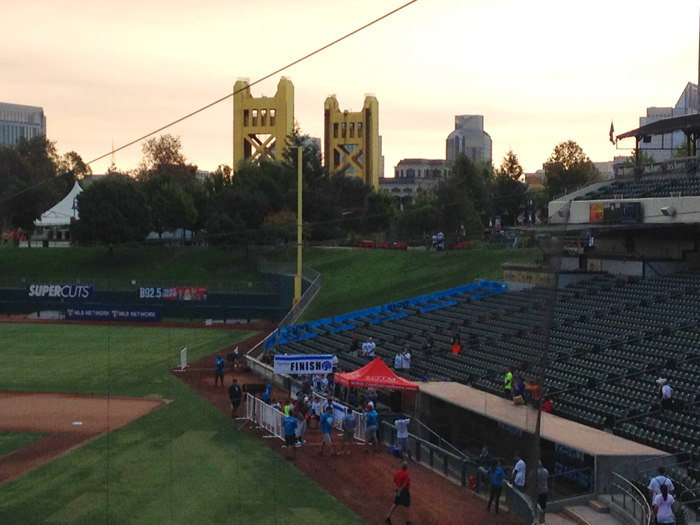 Finish Line – Inside Raley Field!! The River Run for Youth 5k is distance-certified by Fleet Feet Sports. Official race timing by Capital Road Race Management. I am planning on running a short race the first weekend of October, but otherwise will mostly be concentrating on building my road tolerance and endurance. 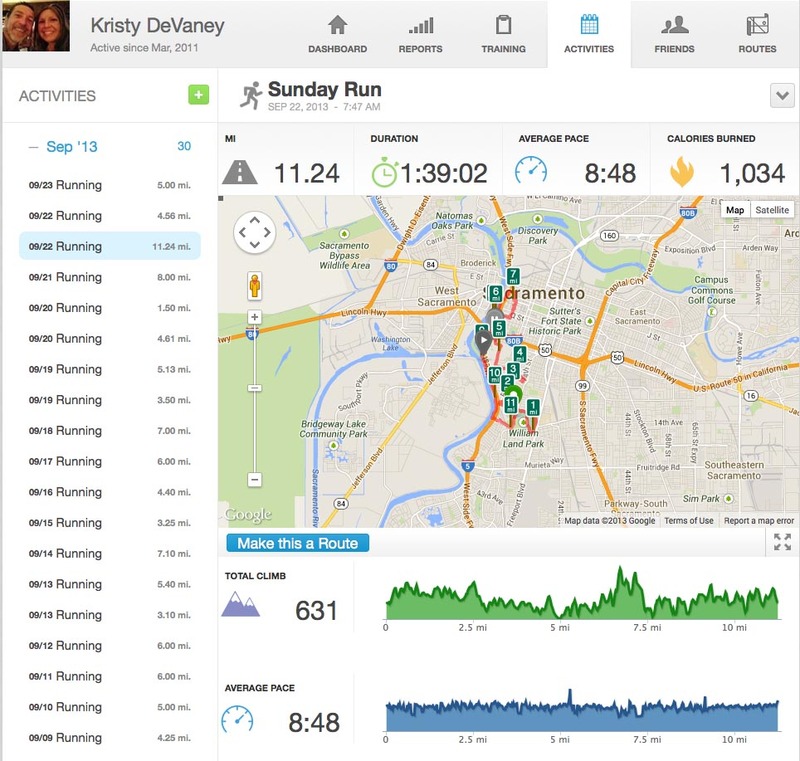 If you would like to check out my profile and my running on Runkeeper, click here. 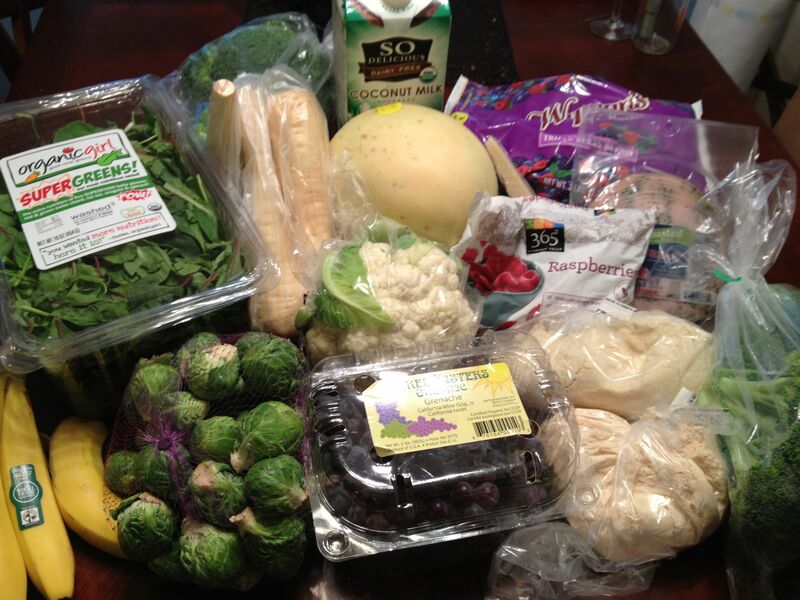 Look for another post using my groceries from Whole Foods, coming this week and more on my training as well! The Nike Women’s Half Marathon San Francisco: I’m Running with Whole Foods! I’ll never forget how I felt after my first half marathon. Or how I felt right before it. I was so intimidated. I had never run a race longer than 9.3 miles (In November 2011, The Hot Chocolate 15K in Chicago), and I distinctly recall not wanting to run another step after that event. 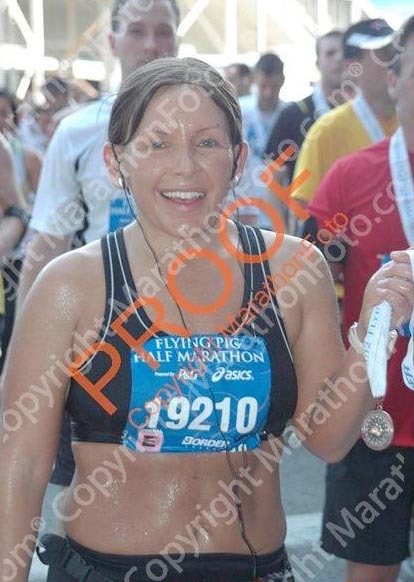 But, in May 2012, I ran the Border Energy Cincinnati Flying Pig Half Marathon in just under 2 hours (1:58:49). So now, after running three half marathons, I’m very excited to announce that my fourth half marathon will be the Nike Women’s Half Marathon on October 20th in San Francisco, and I will be running on behalf of Whole Foods!! Annually, 30,000+ people come to San Francisco to run the Nike Women’s Marathon (benefiting the Leukemia and Lymphoma Society). This year, the race will celebrate its 10-year anniversary and Whole Foods Market will be the official grocery sponsor. Over the next 6 weeks until the race, I will be working with Whole Foods and keeping track of my food and training right here on my website. During that time, I will be sharing recipes and some of my workouts. I most likely will post in a weekly format to give a breakdown of what I ate and the miles I ran. I feel so honored to be journaling this race and the time leading up to it. A big thanks to Whole Foods, as they are funding my groceries until the race as well! Here’s a map of the course (highlighting the full and the half). It means even more to me that I was given an entry into the race because I am not an elite runner, but more of a “bridge” runner that can connect people doing this the first time to people of an intermediate skill level. Remember, I didn’t do anything more than walking until I was in my late 20’s, and I didn’t start racing competitively until 2 years ago. And now, I’m on a team, too–The River City Rebels. So, if I can do this, so can you! 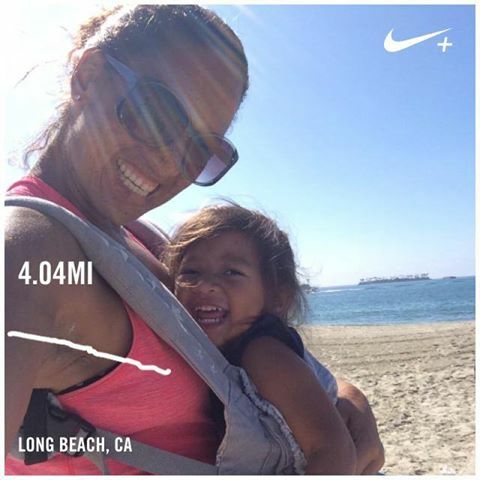 Is anyone else running the Nike Women’s Half Marathon or the Marathon? I am really looking forward to it. I have my hotel picked out and am already getting butterflies!! Let’s do this! You can find Whole Foods on Facebook here and on twitter here. My local store is in Roseville on Facebook here. The Nike Women’s Series is on Facebook here.